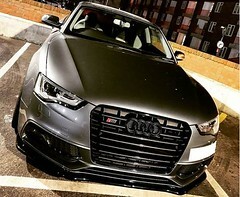 I am looking for recent experience if any for those who have brought a diffuser or any exterior parts for their a5 and S5s with this company directly so that I can make a decision. 1. What they have quoted you included tax + shipping is the final payment with no other hidden fees before receiving the product. 2. Product arrived as described with no defects or problems before installing. 3. Any fitment problems you have encounter resulting refund. 4. Anything else I should be aware of. Many thanks and I appreciate your helpful comments. Went and search the seller profile If this is the correct one it looks pretty positive with 89% overal customer satisfaction. The bimmer forums is also quite impress with this company.